In the words of Julie Andrews, 'Let's start at the very beginning, it's a very good place to start', and although poets may have said the same thing more eloquently, I like the sentiments of 'The Sound of music', in this case, and this case only! Because we are at the start again, and it is a very good place to be. The whole of the gardening year is laid out in front of us now, fresh and untouched. 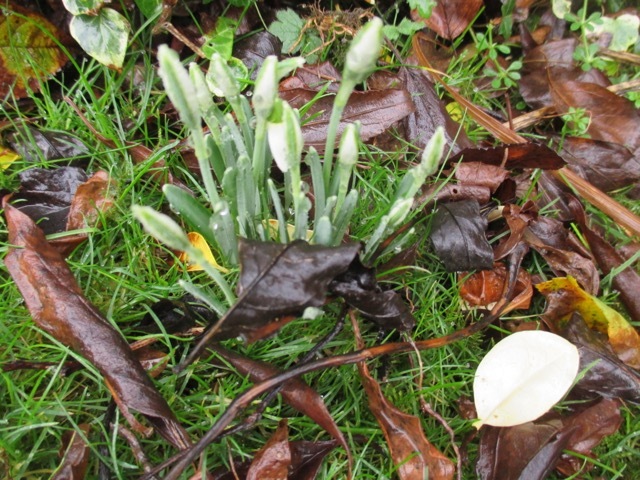 The seeds are chosen but not yet sown, the first snowdrops are in bud here, but not yet out. 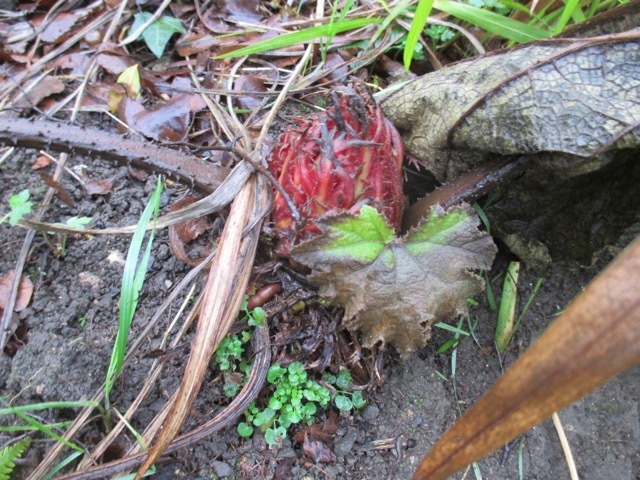 The daffodil buds are fattening and stems are lengthening. Everything should be waiting to flower in its usual time. There are some mavericks around, some rebel plants who have not read the rule book, and do not know that they must only flower in March or May, and so are blooming now, out of synch with the patterns of the seasons. Ceanothus ! Only a few blooms, I admit, but usually never seen in January. Roses ! Lots of buds and open blooms. Sweet rocket ! Still hanging on in there from last spring. The old sticklers for traditional are still blooming in the garden too, thank goodness. The primroses are starting to come out, but there has been so much rain that their petals are sodden, and not lasting anything like as long as usual. I would have said that these Erysimums were out early, but as every single one of them is in full bloom at the moment, maybe they do start flowering this early. 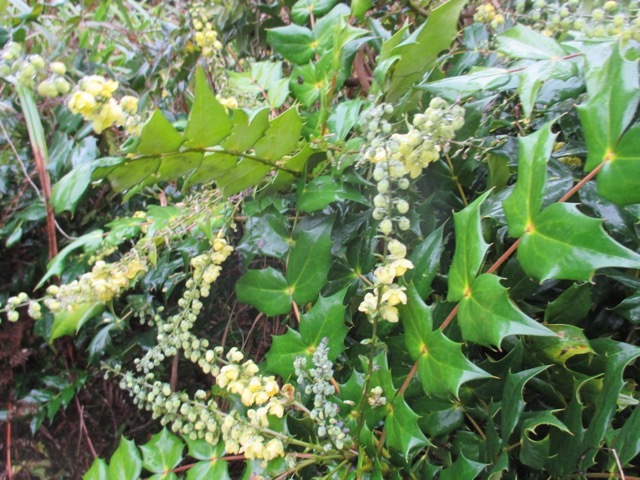 Mahonia 'Charity' is covered in beautiful pale yellow flowers and the perfume is intoxicating, and fills the air. The weather is still so ridiculously mild that there are still occasional bees on it. 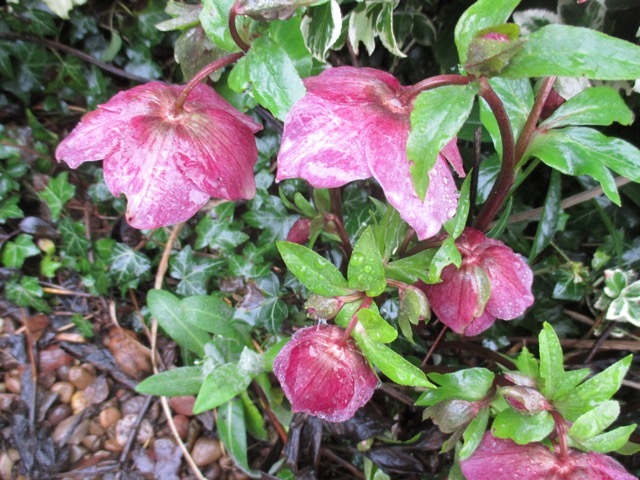 Lots of hellebores are now in full flow - all unamed varieties, which have self seeded over the years. Most are washed out pinks and mauves but this one is a good strong dark pink. 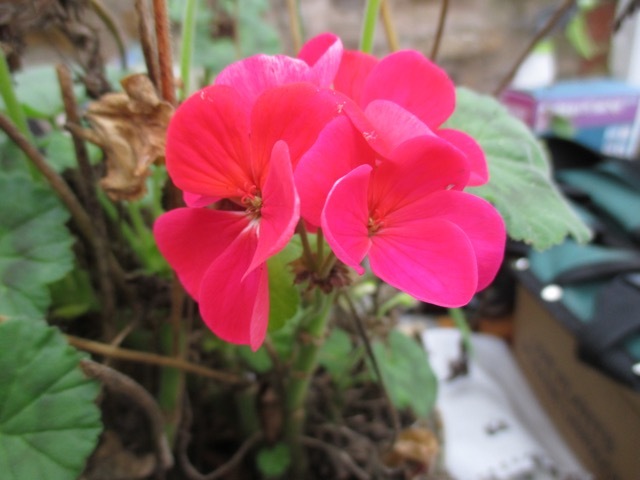 The greenhouse is doing exceptionally well due to the relatively high temperatures and these geraniums just have not stopped flowering since June. In every season there are plants which you look at and fervently wish you had grown more of. 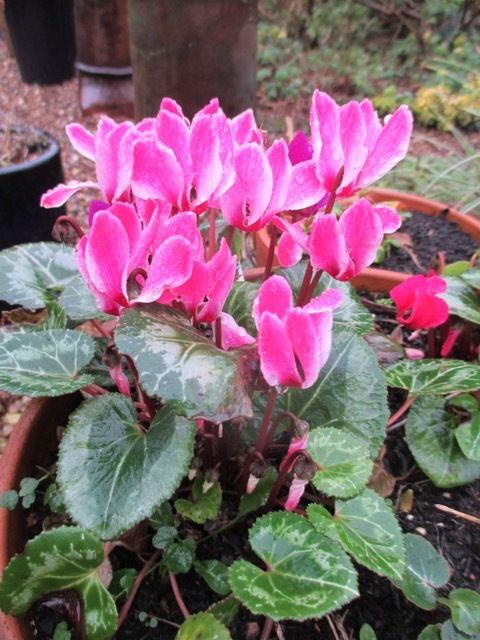 The hardy Cyclamen is a case in point, as it is a real pop of bright colour in a dismal winter garden. Both flowers and foliage are things of beauty. 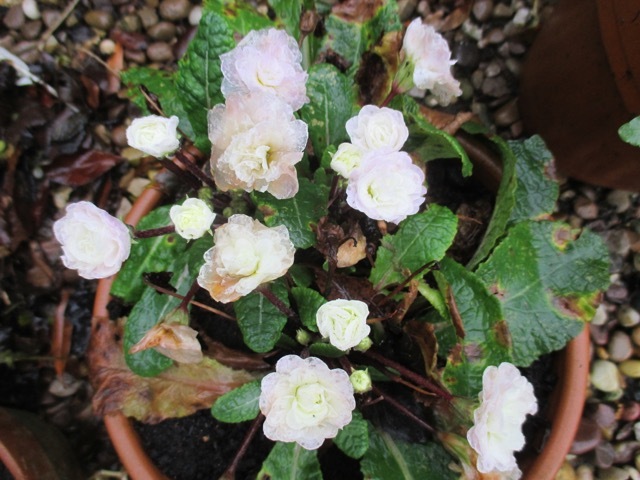 I love double primroses and this is a very delicate, subtle one , called 'Pink Ice'. It is very pale at the moment and blooms will darken as the season progresses I think. 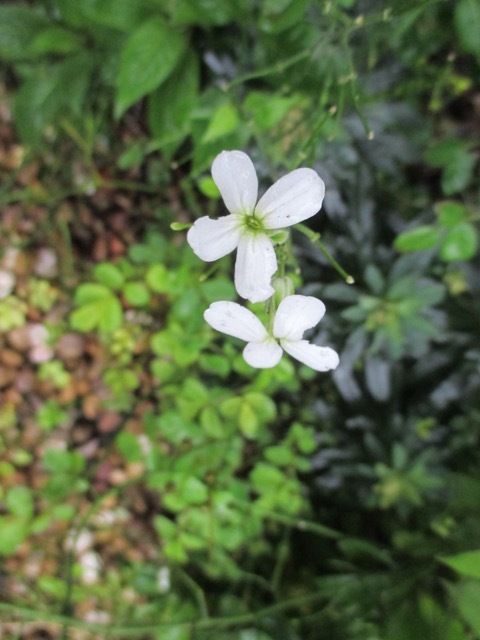 The flowers are held on dark stems which contrast so well with the pale heads. Another reliable source of winter colour is Viburnum Bodnantense 'Dawn', standing by the back door for maximum effect. 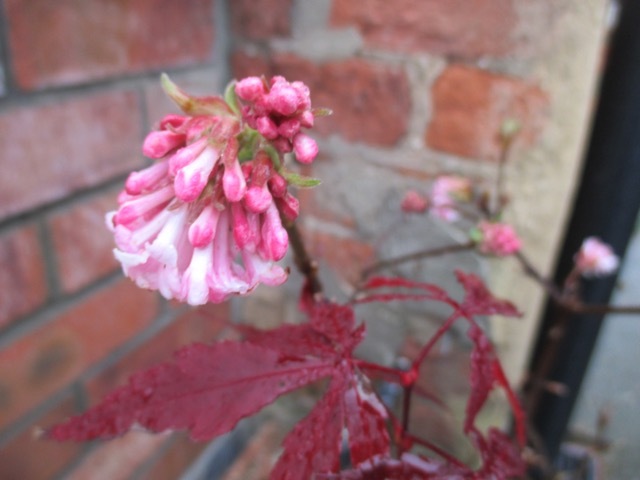 It is in a pot next to a young Acer Palmatum, which has not dropped its leaves. 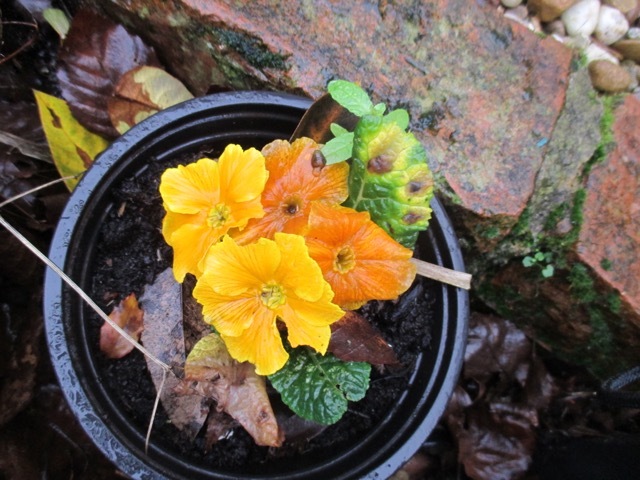 Even on a rainy, dismal January day there is still some colour and interest, if you look hard enough. 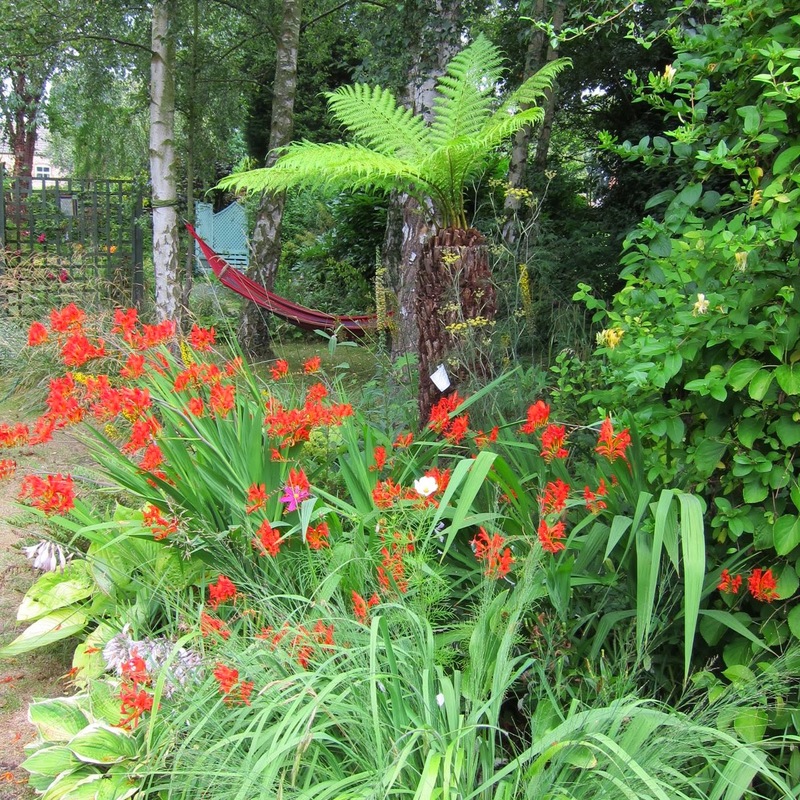 Dear Jane, looks like climate change is having an effect on your garden in the UK as well! I guess, we all only can observe how plants will react to it. Here is has been a normal winter, maybe even a little bit on the cold side so far. It has been raining a little but not much, but we still have hopes for a strong El Nino. I absolutely love your double white primrose 'Pink Ice'. I have never consciously seen a primrose with dark stems, but the contrast between the light colored flowers and the dark stem is quite striking and makes this primrose a special one. I am heading out for a quick round of rose pruning in my lunch break now. Wishing you a wonderful 2016! Hi Christina and a happy new year to you! I wonder if we are beginning to see the effects of climate change. 'Pink Ice' is stunning as is 'Amethyst Ice' which is a very rich purply colour and also double. Good luck with all your rose pruning ! I too have a hellebore blooming and a sea pink. They are being frozen right now. They won't last. I just hope it is not too late to save the blooms on the daffodils etc that have also arisen. It is heartbreaking to see things blooming when they will not last. I hope you daffodils are saved ! That's a fine showing for January! Bedding Erysimums are sold here in the desert as winter annuals, which just goes to show how very mild your weather has been...! Your Cyclamen are luscious. I have a couple of the florist variety blooming in pots. I don't say it in their hearing, but they are no substitute for species cyclamen - almost another plant altogether - and I'm missing the latter. Yours do nothing to reduce that ;-) The pale pink primrose is a thing of beauty too... It looks as if your garden isn't going to give you much of a winter break! 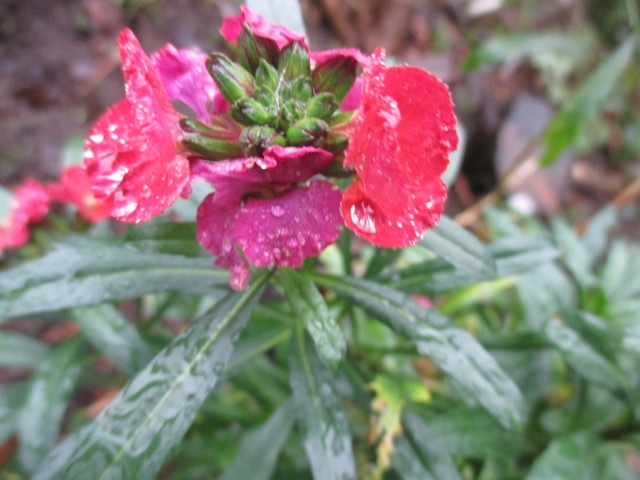 Hi Amy, wallflowers are sold here as winter annuals too and it is the Erysimums which are sold as short lived perennials. Very confusing! However, as they are all gorgeous, it doesn't really matter!! Thank you for the 'Sound of Music' quote, we re-watched again over Christmas, I still love it! 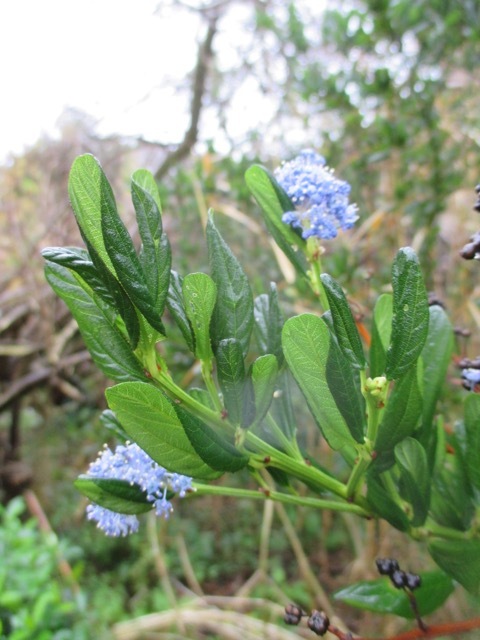 I fear the unruly behavior of the ceanothus may become the new "normal" if predictions of warm wet winters in the UK prove accurate. The only bright side I can see to that is more flowers to brighten up the winter wet... Still, it is the beginning of a new gardening year, with the promise that all those yet-to-be-sown seed packets hold. Happy 2016! May it be full of gardening delights for you. Ah, same to you Janet. Any wetter and we would need stilts ! I find this seasonal most unsettling, as anything suddenly seems possible. We had snowdrops already here but the snow has come now...all are covered....lovely to see the start of the garden there. It seems we are all having strange garden beginnings with the weird weather. Happy New Year! I bet your son looks wonderful! I hope the snowdrops are nestling away in it ! Happy new year both in and out of the garden, Donna! Strangely our snowdrops are one lots of plants that are not ahead of themselves and the mini irises and crocuses are ahead of them. 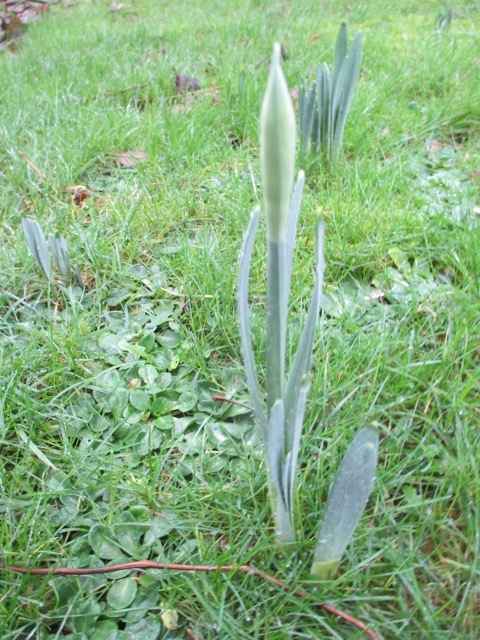 It is odd Sue, my snowdrops are coming into bud now, as I would expect them to, but Iris Reticulate is also on course - leaves but no buds as yet. I wasn't late planting the irises either. Mind you ... I have just tidied up the greenhouse this morning and found 50 tulip bulbs which I had forgotten to plant, so I guess they will be VERY late !! I am barred from watching Sound of Music - I am the only one in the house that enjoys it. I did manage a bit of Calamity Jane when everyone, another movie that is not popular! 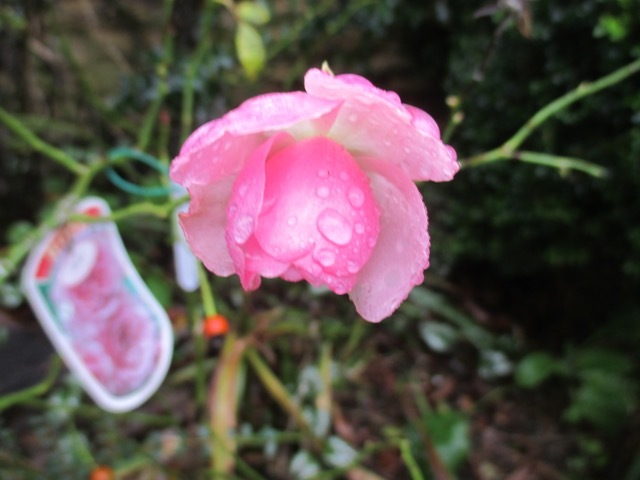 What a great start to the year you garden is having, so many lovely blooms. Very cheerful indeed! Hi Angie. I was surprised at how much colour there actually was in the garden, once I started looking around. From the house it just looks like a muddy mess at the moment! I used to love Calamity Jane as a child ! So much blooming! Despite our mild winter, most of my garden went to bed as usual, although some have pumped out foliage, I've only had a few blooms. Nevermind, Tammy, take heart as we are climbing out of winter towards spring now ! We are expecting the temperature to drop today and maybe get more seasonal sleet/ snow. You seem to be a little bit ahead of me Jane although to be honest I can't wait for a proper frost. Even though some of the early starters will suffer I just want to get back to some form of normality! I know what you mean Rick, those poor plants need a short sharp shock to remind them that this is winter ! How lovely to have irises out Anna, and your first snowdrops. 'Pink Ice' has a beautiful sibling 'Amethyst Ice' which is also worth looking out for. I find it amazing you have so much flowering. Is it much earlier than usual? I found bluebells, in a sheltered spot, yesterday while I was having a bit of a clean up. Pretty much everything else is dormant although I suspect with climate changes are Spring will be early too. Gosh, a bluebell already! Way too early! We are now experiencing low temperatures so that will hopefully sort out these confused plants! Hi Jane, It seems that winter has passed by us all! What weird weather we are all having! Nothing but a dusting of snow so far this "winter". I especially love primrose and hellebore.....Your blooms are a real spot of brightness in gloomy weather! I'm a little concerned about what this strange season will do to the gardens....time will tell! Happy 2016! It is clearly very widespread, this odd weather! Have you got snow now ? temperatures here in the UK have suddenly dipped to below average now ! One extreme to the other! So many lovely blooms, what a delight. The Pink Ice primrose is so pretty. Now it has turned cold I wonder what will happen to all our premature treasures. I hardly dare look, Chloris ! Keep looking for the Aconites you kindly sent me last year, they should be making an appearance soon ! 'Pink Ice' is gorgeous! Before our recent cold snap there were several things blooming out of season here too. I wish I could grow Ceanothus but alas the humid heat here is too much for it. It's such a lovely blue.